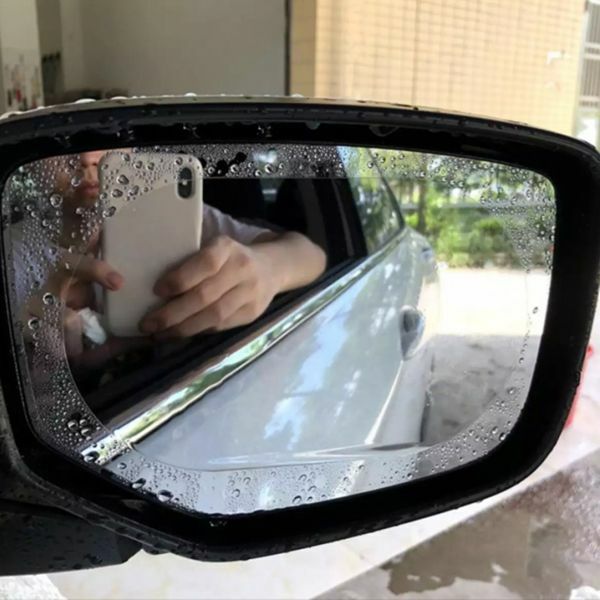 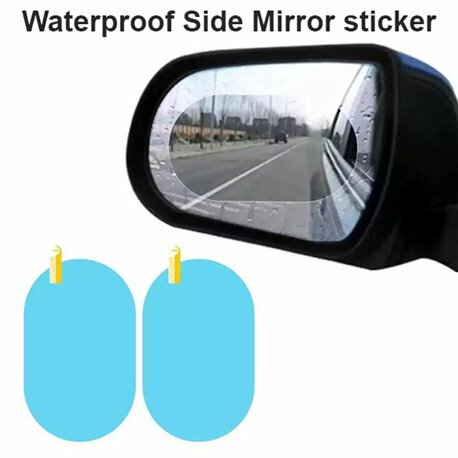 An innovation and it can solve your trouble that you can't see the reaview mirror clearly in the rainy day. 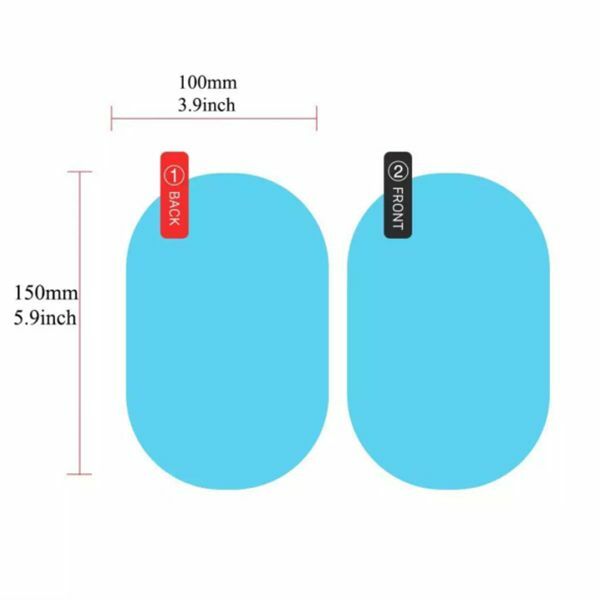 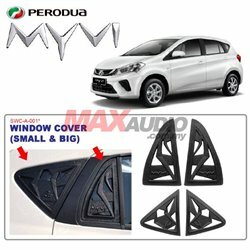 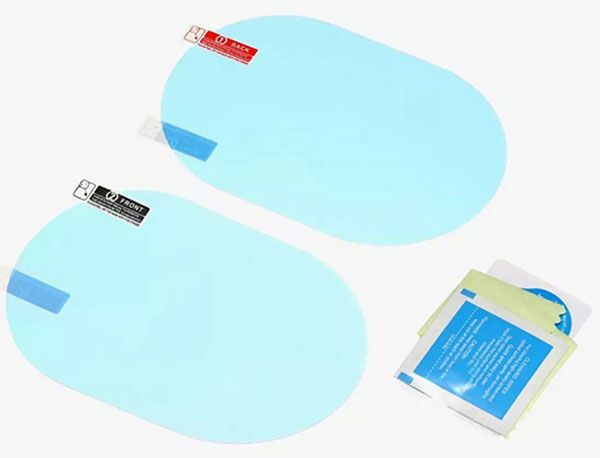 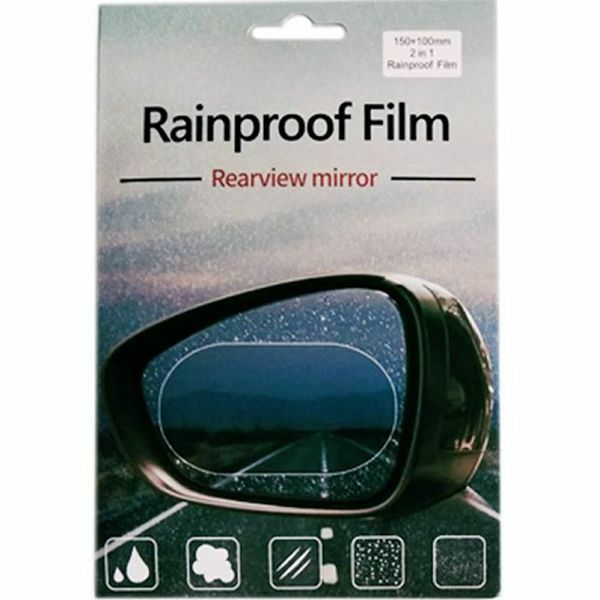 Universally designed rearview mirror protective film for automotive, SUV, truck, trailer, etc., suitable for all standard size side mirrors. 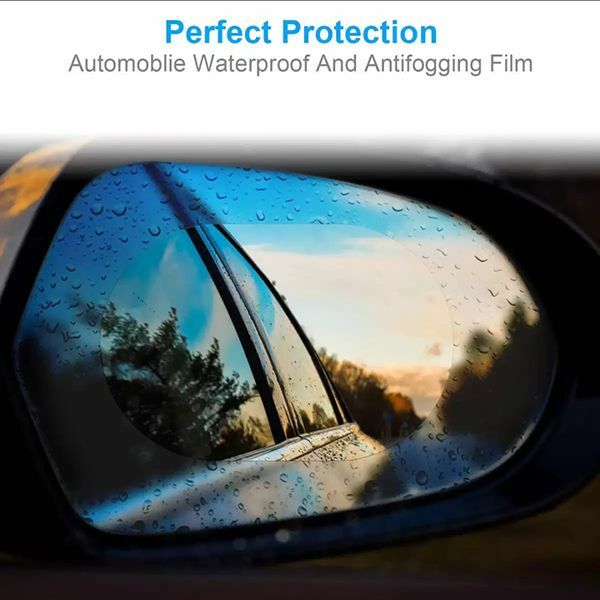 It will give you and your car an unprecedented sense of security.It could clarify the view area for averting possible danger, for example, helps you to forecast the next surroundings when passing or changing lanes. 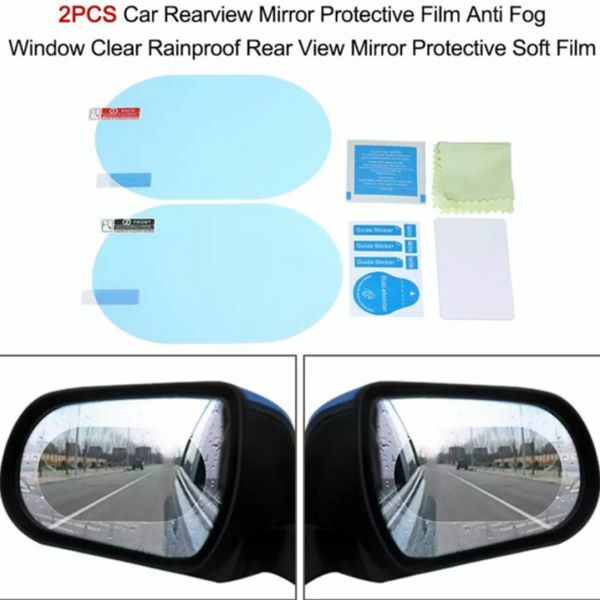 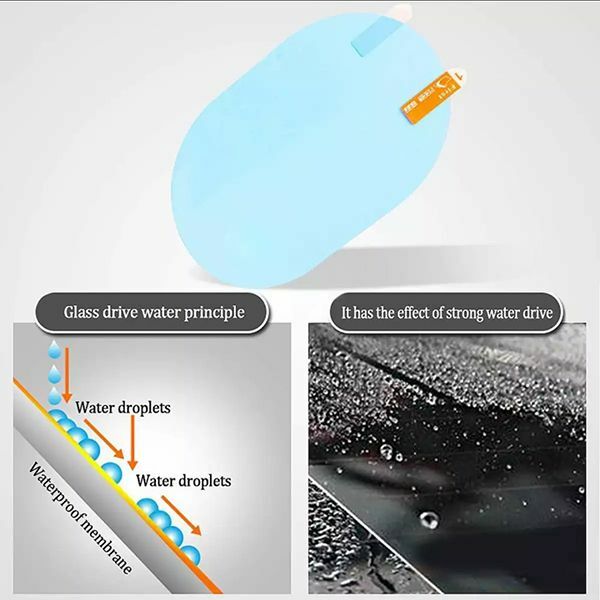 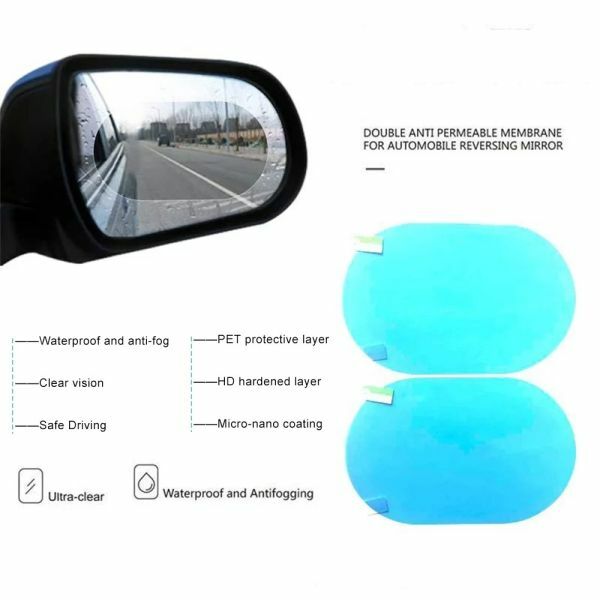 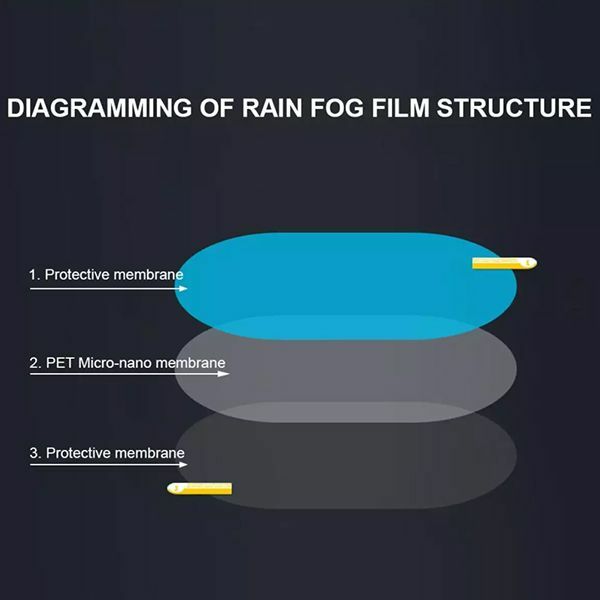 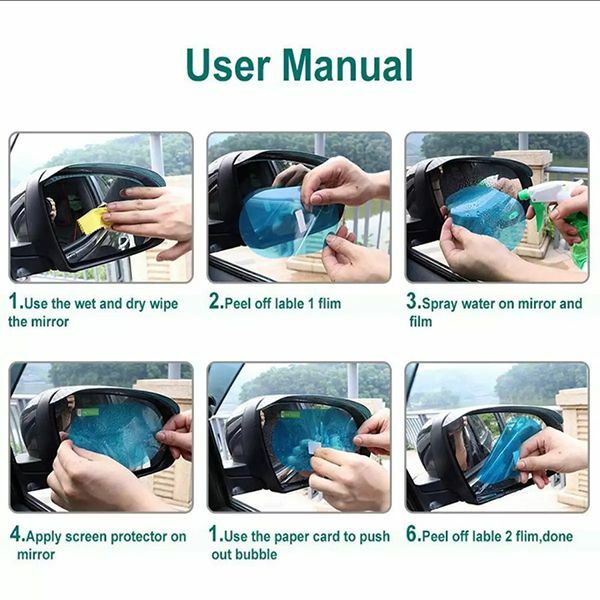 It can protect your driving sight line in the rainy day.It is an innovation and it can solve your trouble that you can't see the reaview mirror clearly in the rainy day.It's waterproof and anti-fog with good effect. 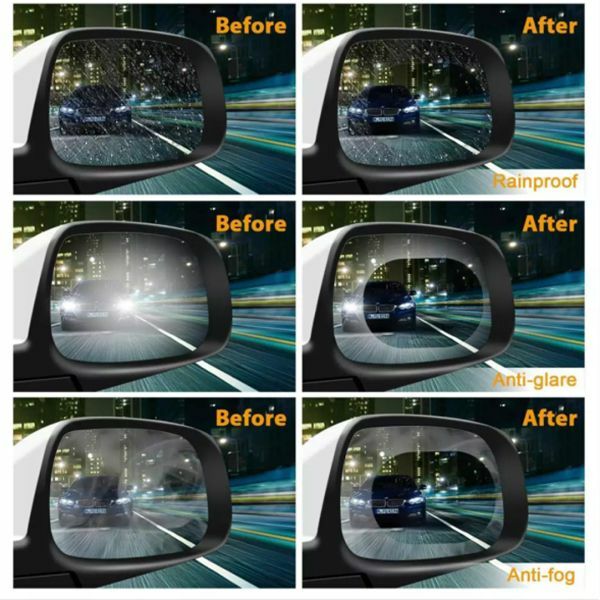 Anti-fog, anti-glare, anti-mist, waterproof, rainproof, which effectively clearer your sight and better view in a rainy or foggy day. 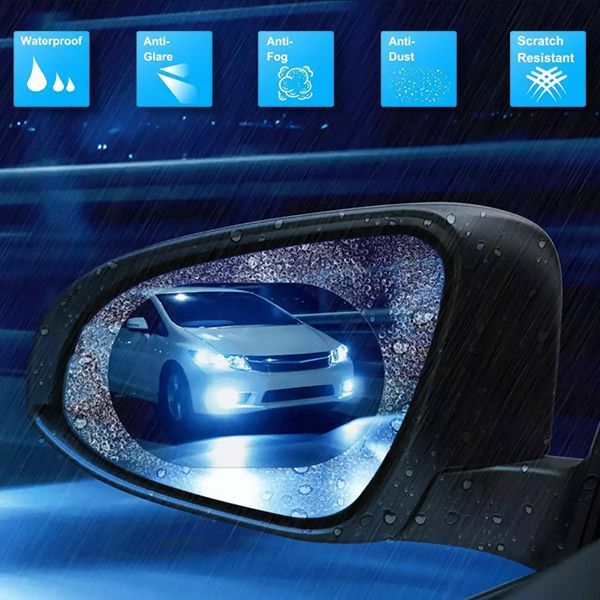 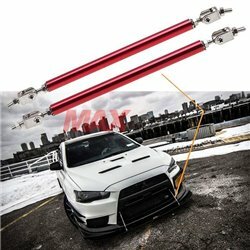 It can protect your driving sight line in the rainy day. 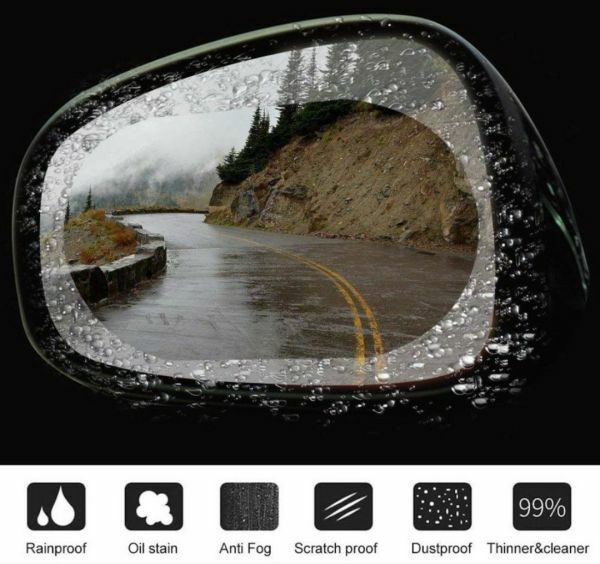 Anti-fog, anti-glare, anti-mist, waterproof, rainproof, which effectively clearer your sight and better view in a rainy or foggy day. 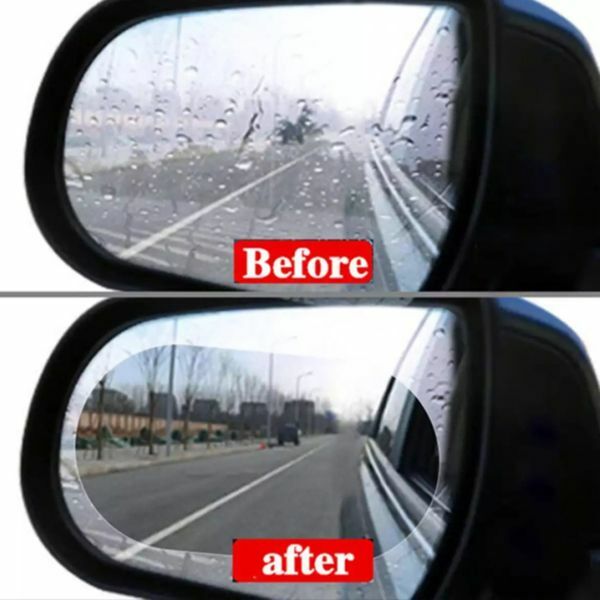 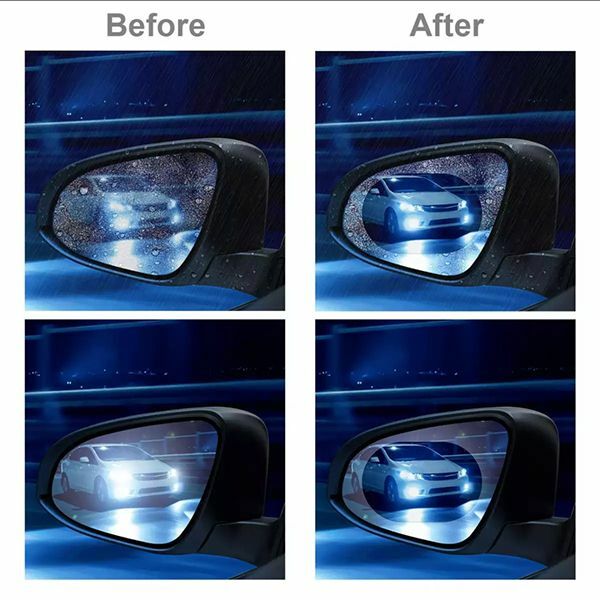 Shield and protect your Rearview Side Mirrors from unwanted scratches, smears, dust and dirt. 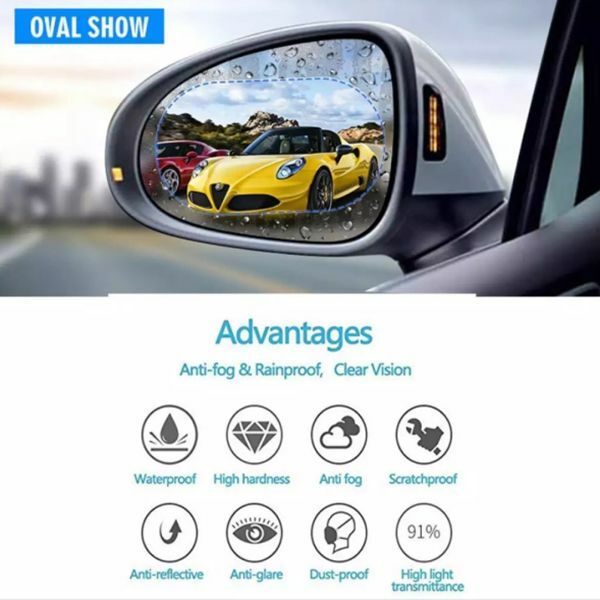 Keep your rearview mirror clear all the times.High strength and high transmittance.